Wheat (Triticum aestivum L.) is widely cultivated in the Mediterranean zone where plants generally suffer from water stress during heading and reproductive stages. 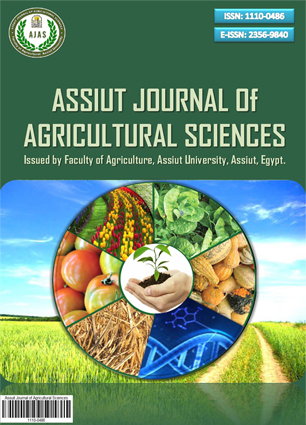 This research was carried out in a field experiment at Shandaweel Agricultural Research Station during the two successive growing seasons 2015/2016 and 2016/2017 using water treatments (water stress and well watered) and humic acid (soil application) and silicon (foliar application) on some wheat cultivars (Gemmeiza 11, Shandaweel1, and Sids 12). The application rate of humic acid and silicon was 2Kg/feddan and 150 ppm, respectively.